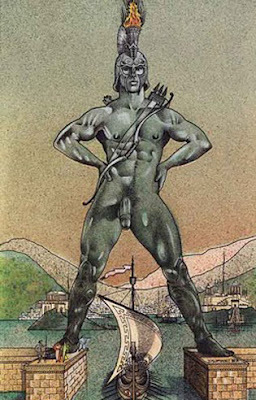 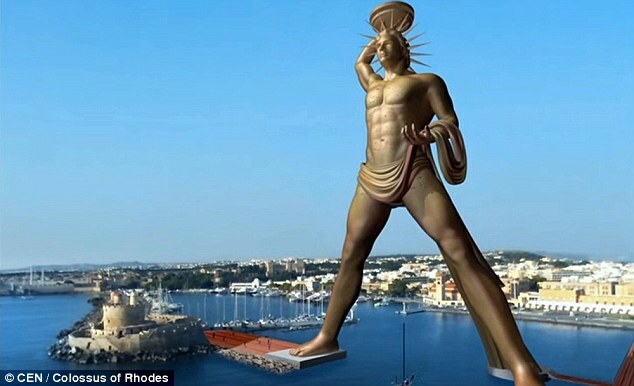 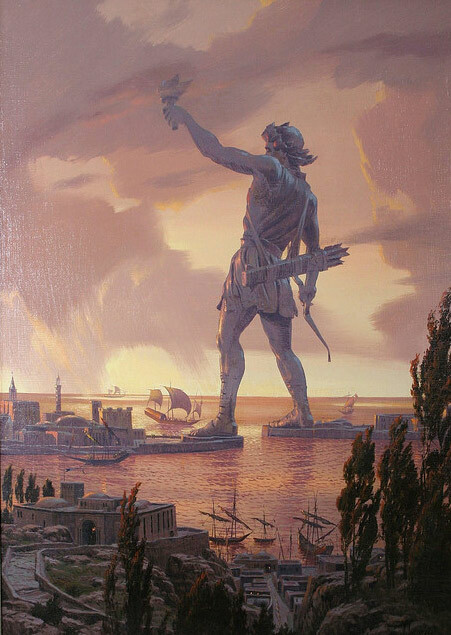 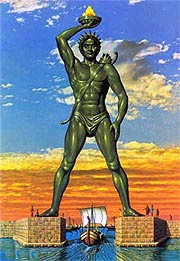 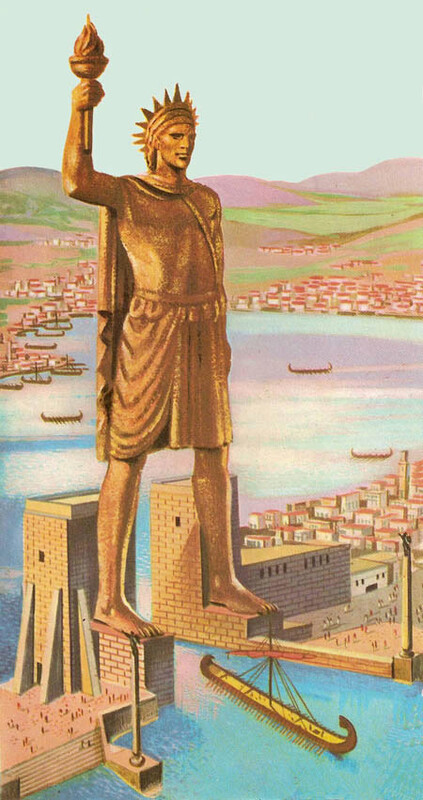 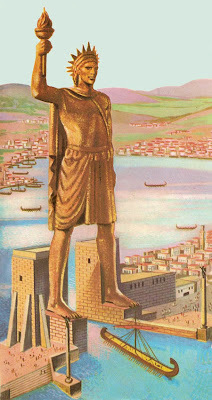 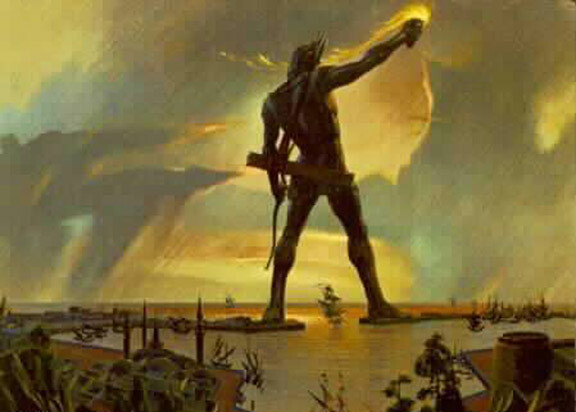 The Colossus of Rhodes was one of the wonders of the world. It stood for 54 years before a big earthquake toppled it down. 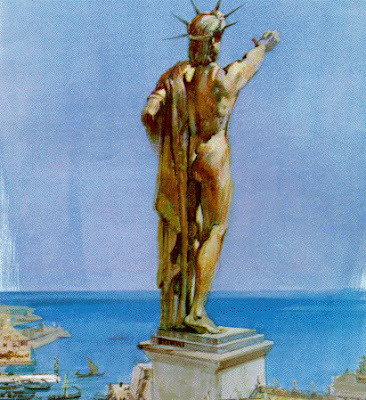 According to historians, Ptolemy III offered to pay for the reconstruction of the statue, but the oracle of Delphi made the Rhodians afraid that they had offended Helios, and they declined to rebuild it. 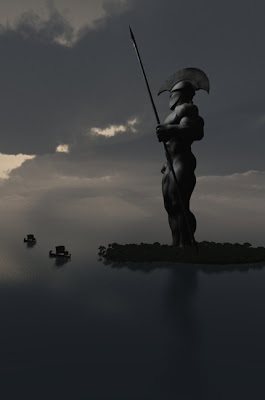 There were plans of recreating the Colossus a few years ago and this was one of the designs. 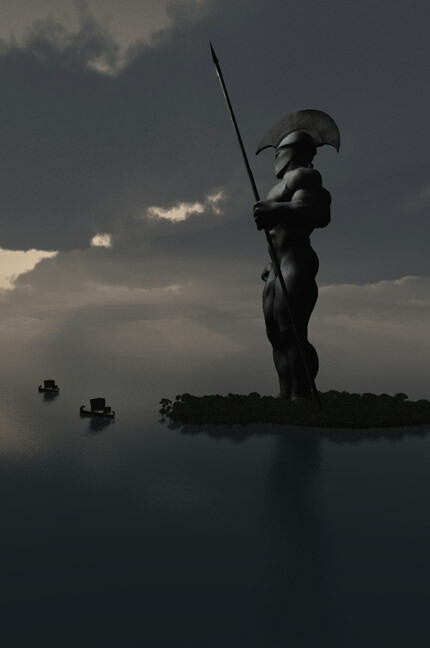 I don't know the status of the project. 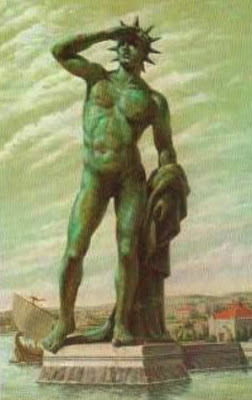 Ja, Ja, Ja! 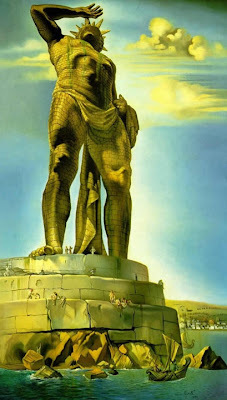 Joking apart, there was another colossus: The Nero Colossus (Colossus Neronis) in ancient Rome "As long as the Colossus stands, Rome will stand, when the Colossus falls, Rome will also fall, when Rome falls, so falls the world" Wiki.